Trains Today: Comment: TFL Rail to take over London Suburban Services. Is this the answer? 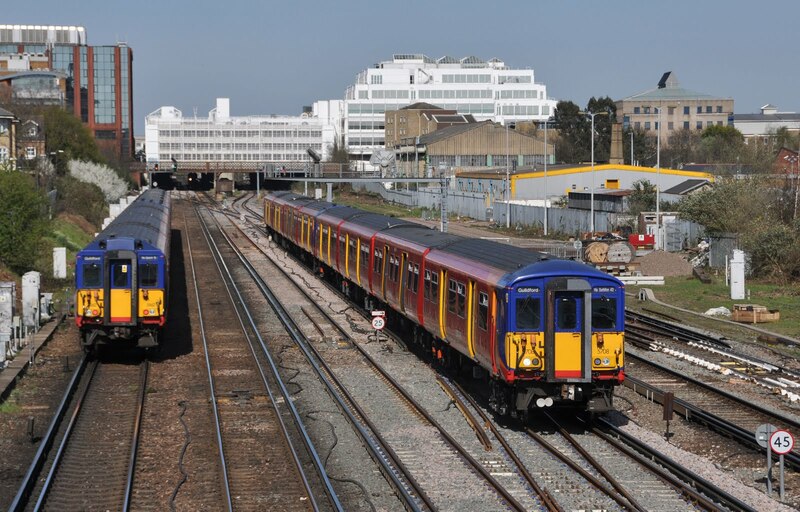 Comment: TFL Rail to take over London Suburban Services. Is this the answer? Kensington Olympia. New and more frequent trains have transformed the line. It has been announced this week that following a long campaign by London Mayor Boris Johnson commuter rail services into London will be taken over by Transport for London. Starting from 2018 with SouthEastern's suburban routes, services will be re-branded as 'London Overground' and full control within the London area will pass to TfL. The change, it has been said, will 'increase capacity' and 'eventually bringing an end to cattle truck conditions' faced by commuters. By transforming services in the south east in the same way that London Overground has transformed it's existing services (increasing ridership on these six-fold) TfL believes they can increase capacity and run a truly metro-style service on these routes. One thing is absolutely certain- the arrival of London Overground on the wider suburban network is not going to be a quick fix. Let's take a look firstly at how TfL has transformed one of it's existing routes- the West London Line from Clapham Junction to Willesden Junction. Just 10 years ago this route was something of a forgotten backwater of the capitals rail network. An outdated 3-coach Silverlink Metro train would run every 30 minutes calling at the four stations on the route, and it was rarely busy. Look back 10 or so years further and the route only had a peak time shuttle from Clapham Junction to Kensington Olympia! London Overground has undoubtedly transformed services here- today they provide modern 5 coach walk-through trains at least every 15 minutes seven days a week. Two new stations have opened on the line and all stops are fully staffed. The line has better connectivity with many trains running through to Stratford in East London, and the real result is in ridership- trains are busy, and at peak times already nearing capacity. 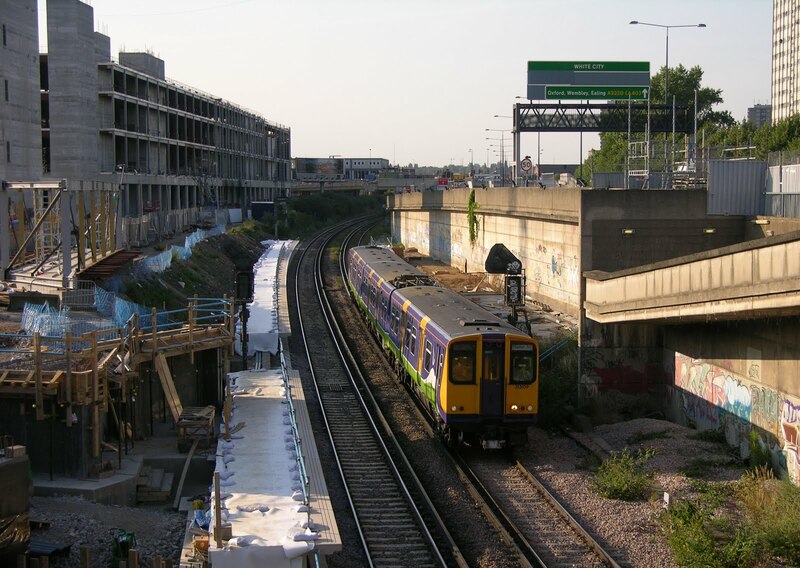 In July 2006 the new West London Line station at Shepphards Bush (and the Westfield Shopping Centre next door) is still under construction as Silverlink Metro's 313109 passes with a train to Clapham Junction. TfL has successfully invested in under-utilised infrastructure and transformed a marginal route into one that is now popular, profitable and a core part of London's transport network. boost services from the 18 trains an hour which already run at peak times? Let us now look at one of the routes which TfL aspire to control in the future, also passing through Clapham Junction is the busy commuter service from Wimbledon into London Waterloo- currently operated by South West Trains. Unlike the West London Line this route is already one of the busiest commuter routes into London. Eight coach trains make the journey from Wimbledon into Waterloo up to 18 times per hour, with a train almost every 3 minutes at peak times. With the current infrastructure capacity has been reached on the line- there is physically no room for more trains. At peak times trains are also already full. By the time that TfL may take over this route (2019 at the earliest) a 25% increase in capacity will have been delivered with 10 coaches running on most trains- this still will not solve the capacity crunch and crush loadings on the route. Unlike the take over of Silverlink Metro there will be no quick wins on a route such as this. What could London Overground therefore bring to a route such as this? Obviously if the change in management of the line were to bring more capital investment that would be a good thing. There are ways, at great expense, that capacity could still be increased on the route- it may be possible to lengthen platforms again to introduce 12 coach trains. Technology upgrades with the use of Train Management Systems (TMS), and in-cab signalling could improve the flow of trains allowing more to be squeezed onto the network. Finally new trains could be procured with more and larger doors, walk through gangways and a metro style seating layout- this however would not be a small investment- more new vehicles would be needed for this service than London Overground's entire current fleet! Of course the long term answer for this route is to build Crossrail 2- but that is another topic altogether! under the London Overground brand. Further considerations need to be taken in with TfL's proposal- unlike their current routes many of those they are proposing to operate are not simple 'enclosed' systems- from several terminals the current operators run out to many many different destinations. There are also long distance services to consider, which share tracks and infrastructure with the trains TfL will plan to run. Then there is the small issue of what happens outside of the London Boundary- Metro style trains already continue far outside of the reaches of the Mayors authority into Surrey, Kent and Sussex. What will the impact be for these outlying (but very much essential) services? TfL certainly faces a challenge in taking on London's commuter network and those customers who think that a sudden change in management will bring about a rapid improvement in services may be saddened to find that this is not the case. Everyone in the transport industry would like to see capacity raised on these lines but there are no easy answers, and they certainly don't come cheap. Whether it is TfL or a franchised TOC which ultimately runs these services the fact remains that these are some of the busiest railways in the world and that will be a challenge for any operator to take on.